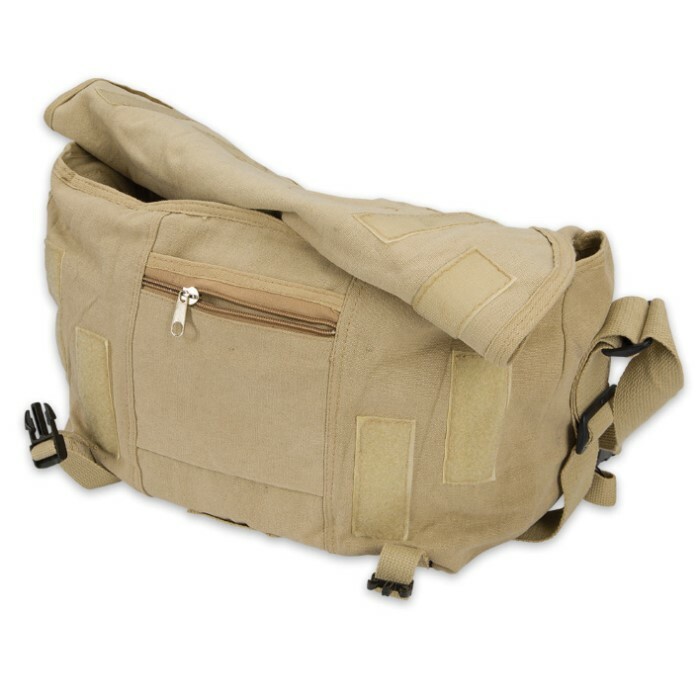 Fox Outdoor Products Retro Courier Shoulder Bag | BUDK.com - Knives & Swords At The Lowest Prices! 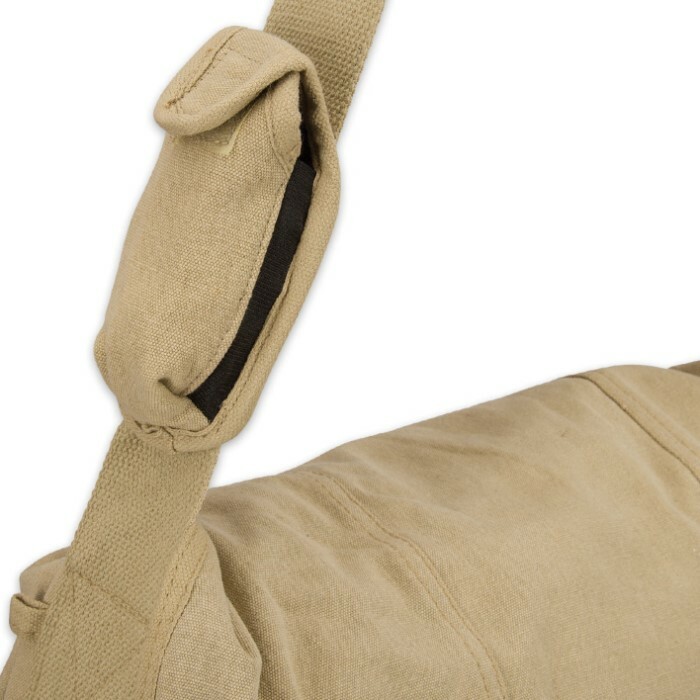 Though built tough enough to withstand the worst mother nature can throw at it, you don't have to be an outdoorsman to love Fox Outdoor Products' Retro Courier Shoulder Bag. From ammunition to school books and everything in between, the Courier Shoulder Bag provides a versatile, long-lasting and - best of all, perhaps - wicked-cool transport option. It features a large main compartment accompanied by numerous smaller zippered pockets and pouches for a near-infinite range of storage and organization options. There's even a removable cell phone holder and ID tag key ring hook. A classic storm flap with quick-release buckles keeps the bag's contents secure, even when carried over rough and craggy terrain. But regardless of what you pack it with or where you take it, the Retro Courier Shoulder Bag is comfortable and easy to carry, thanks to the removable padded shoulder strap. Ditch that tired, old backpack - or, worse, 80s-era fanny pack - and trade up to something stylish, built to last and endlessly versatile. 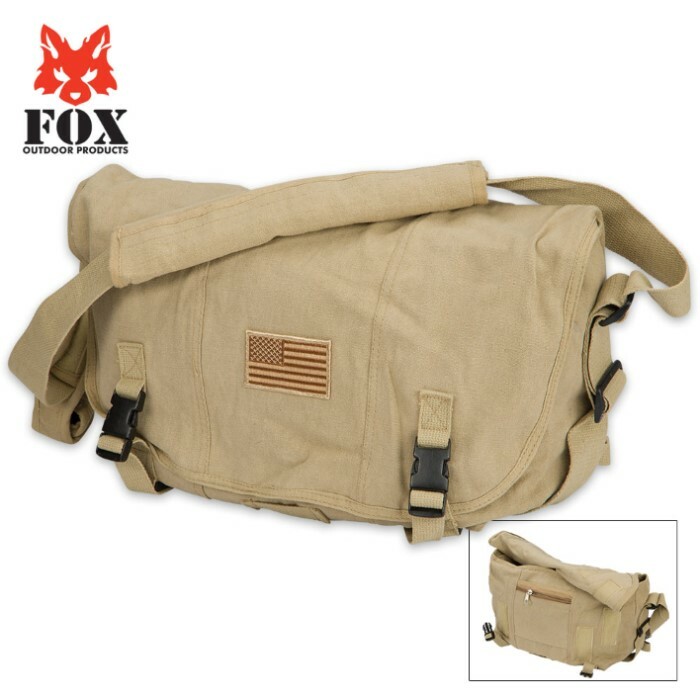 Order Fox Outdoor Products' vintage-chic Retro Courier Shoulder Bag today!